A new option on reservation reports makes it easier to filter based on the reservation status. 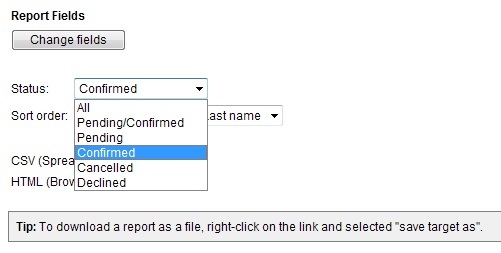 The status field allows you to select which reservations to include in the report. Options are: All, Pending, Confirmed, Canceled and Declined. To view and print reports for your reservations, log on to your WebReserv account and go to Frontdesk – Reports. This entry was posted in New Features, Reporting and tagged filter report per status, new feature, reports select status, webreserv report. 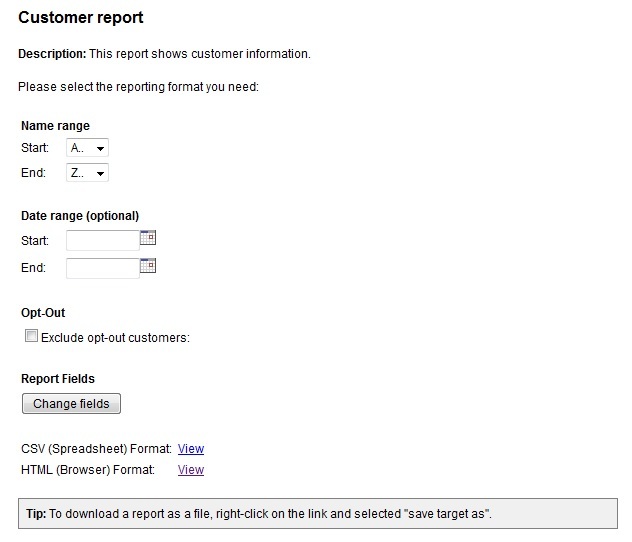 WebReserv has a great new feature: Printable forms. The printable forms is great news for those businesses that has additional printing needs such as rental agreements, liability release forms and similar forms. You can use the built-in forms or create your own custom forms using the template setup screen. When you need to print one or more forms, simply open a reservation and click Printer friendly format and select the appropriate form from the drop-down list. 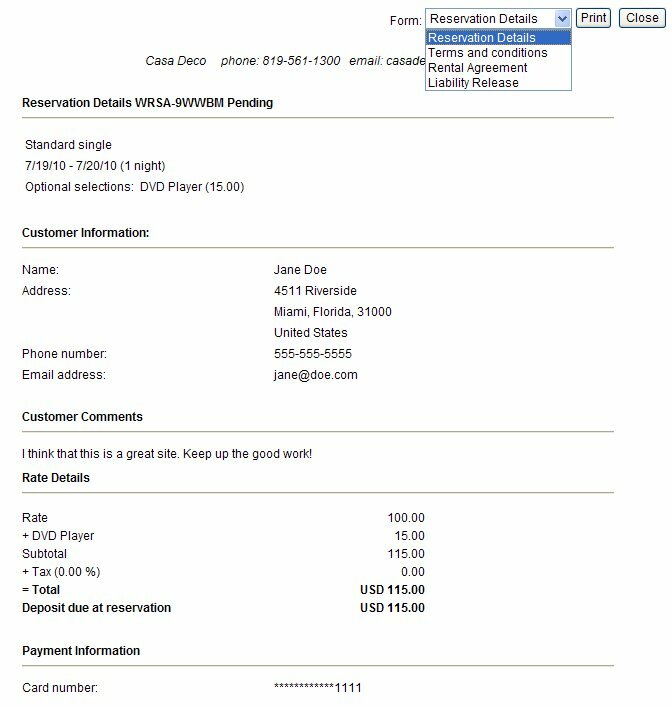 You can even print reservation confirmations and other email templates from the menu. To create your own custom forms, go to Setup – Templates and select Add Template. The template editor allows you to basic styling, such as font selection, bold, italics, underlines and so forth. Similar to email templates, you can use system keywords to include reservation-specific information including customer information, reservation details, payment details and so forth. This entry was posted in New Features, Reporting and tagged add printable forms, booking calendar printable forms, how to, printable forms, webreserv printable forms. The new reporting module provides reservations and revenue reports that easily can be viewed online, printed or even downloaded to Excel for personal use or tax purposes. Currently you can view or download reservation reports by logging on to your WebReserv account and click Frontdesk – Reports. The reports are available with Silver and Gold accounts. The reservations report shows all valid (pending and confirmed) reservations for a specific date or date range. 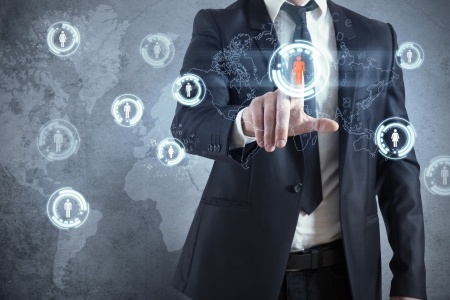 The report is a convenient way to get a list of each day’s customers and can also be used as a passenger manifest. To run the report, select Frontdesk – Reports, enter in a start date and an end date and format; select HTML for online viewing or printing and CSV for download to Excel. The Revenue Reports shows revenue on a month-by-month basis. The report includes line items for additional charges, customer options, tax and more. The revenue is calculated on the first day of the reservation, so a reservation from March 29 to May 5 will be included in the March line. 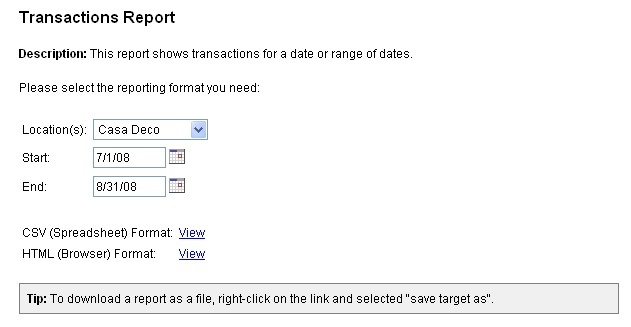 To run the revenue report, select Frontdesk – Reports and, type in the reporting year and select HTML or CSV format. The customer report includes customer contact information and reservation code(s). The customer report will be available by the end of March. This entry was posted in New Features, Reporting and tagged booking calendar report, download reports, reservation report, webreserv reports.